← Civil War Echoes: O Canada! 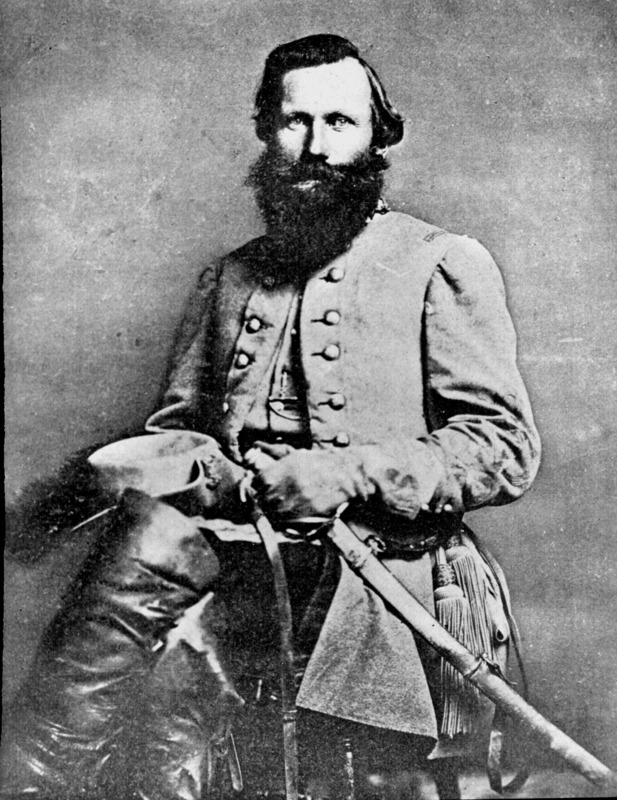 Today, 152 years ago, Confederate cavalry commander Maj. Gen. James Ewell Brown “JEB” Stuart was mortally wounded at the Battle of Yellow Tavern. Stuart died the following day in Richmond. Unfortunately, very little of Yellow Tavern remains today. It has been obliterated by interstates and modern development. 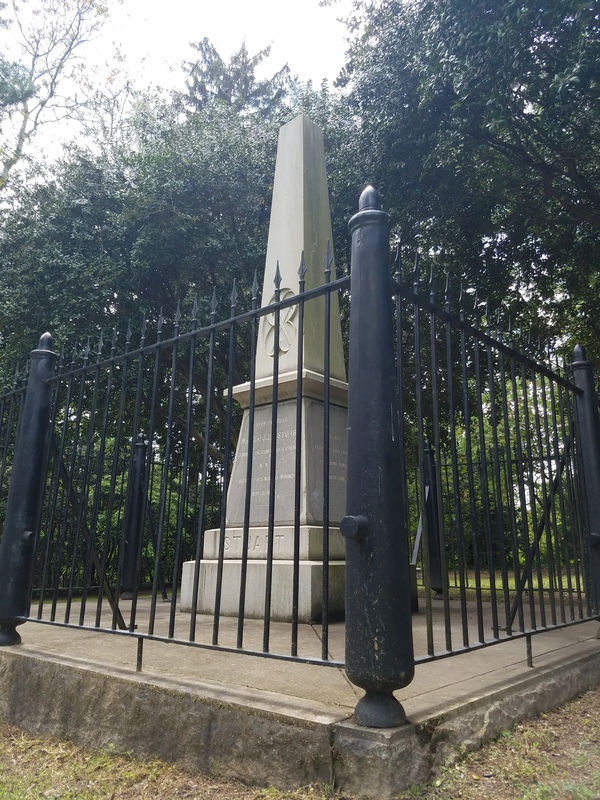 A monument, however, stands near the spot where Stuart received his wound. The location of Stuart’s fall was temporarily marked by one of his officers during the summer of 1864 but later disappeared. On June 18, 1888, Stuart’s former comrades gathered again on the battlefield to dedicate a more formal monument to their fallen chief. In attendance was Stuart’s former brigade commander and then Governor of Virginia, Fitzhugh Lee. The monument an be reached from modern Route 1 by turning east onto Virginia Center Parkway and then making a right hand turn onto Telegraph Road. There is a pull off with a Virginia Civil War Trails sign at the base. 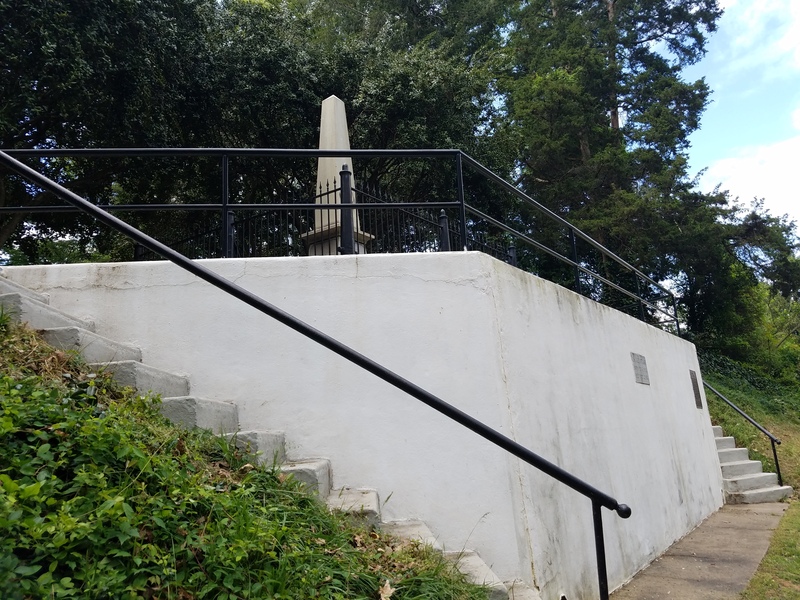 Visitors can climb at set of stairs to reach the monument. This entry was posted in Battlefields & Historic Places, Battles, Campaigns, Common Soldier, Leadership--Confederate, Memory and tagged Battle of Yellow Tavern, Fitzhugh Lee, JEB Stuart. Bookmark the permalink. Thanks for remembering Stuart and sharing this. Great post! I plan on going to this monument next time I’m in that area. A great reminder of the untimely death of one of the Confederacy’s great combat leaders. Stuart always believed in leading from the front and would never send his men where he wouldn’t be willing to go himself which is why most of his men loved him. Of course major generals are not supposed to lead from the front which led to Stuart’s premature demise. Thank you for this post! THANK YOU . WILL HAVE TO GO THERE ANOTHER REMINDER HOW IMPORTANT PRESERVATION IS AND THE WORK CIVIL WAR TRUST DOES WITH OUR HELP.